apply their unique, Tongue-in-Cheek, Arcade-Action design approach to everything they do. 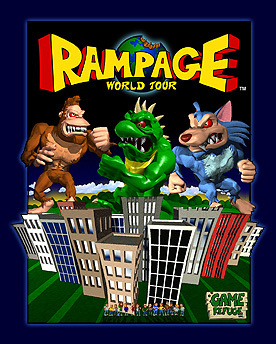 In 1996, responding to a plea from Midway Games for an "arcade product with a broader appeal than the standard fighting-, driving- and shooting games", GAME REFUGE designers revisited the ravaged world they first unveiled in their arcade smash hit RAMPAGE, (originally developed by Brian and Jeff for Bally/Midway ten years earlier). 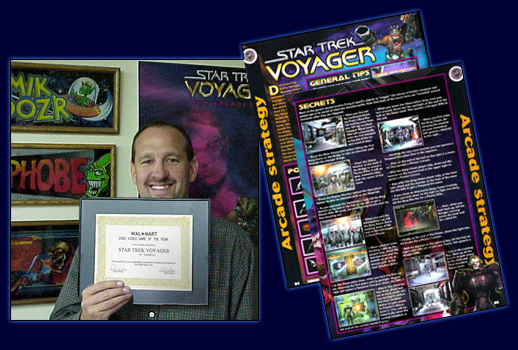 Tremendous public response to the arcade piece led to numerous versions of the game on virtually every available Home Console platform. "...Video game designers Brian Colin and Jeff Nauman created a monster of an arcade game... their latest triumph is Rampage World Tour, an updated version of their classic Rampage coin-op." is an arcade gun-shooting game in the grand tradition of Area 51, Virtua Cop and The House of the Dead. Unlike those games, though... it's populated by new alien adversaries designed exclusively for the Star Trek universe by the creators of General Chaos and Rampage World Tour." 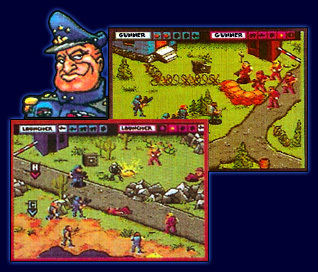 This comic combat game, considered by many to be the first, (and funniest), real-time warfare strategy simulation, was conceived, designed & developed by GAME REFUGE for Electronic Arts back in 1992. 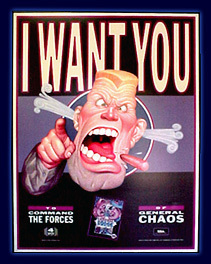 Featuring cartoony characters and frantic, multi-player, squad-based gameplay, the game quickly became one of EA's best-selling original Sega Genesis titles. 1-4 Player action game. Remember, the only rule is that there are no rules!"